Join other 2nd-5th graders as you learn how to program using Scratch! This is a four-week coding series with a cumulative workshop led by Leonard Reid from Happy Code Club. Registration is required and is for all four sessions. Please do not register if you are unable to attend all sessions. 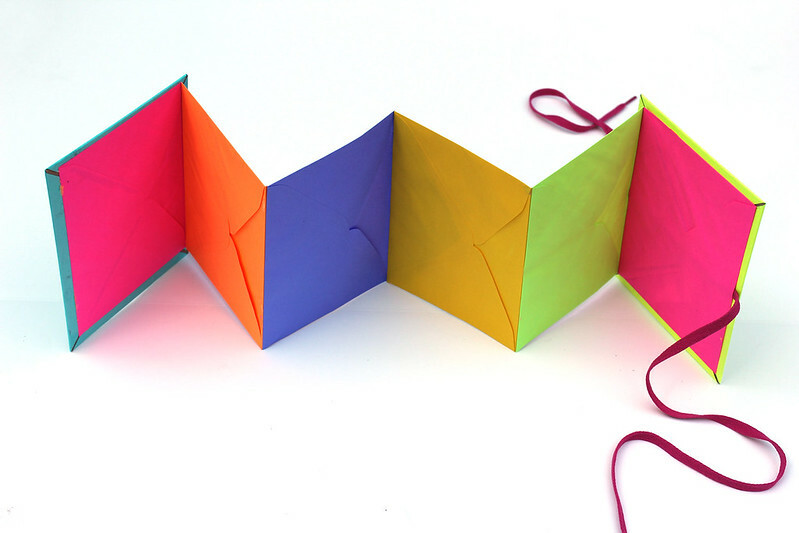 4:30 PM - 5:30 PM Make an Accordion Book! Ridgefield Library hosts a program for the three to seven-year-old set with a exuberant lineup of short animated and live action films from Russia, the Czech Republic, Australia, Denmark, Canada, and the U.S. (both in English and with no dialogue) screening Saturday morning at 10:30 am. This short film series will run for 52 minutes. Children must be accompanied by an adult. No registration. The Ridgefield Independent Film Festival launches their first Kid’s Film Fest on Saturday, April 27 with imaginative and engaging films for young children, tweens, teens, and families. RKFF showcases an array of programming from around the world including animation, documentary, and short films with broad appeal. Ridgefield Theater Barn will be RKFF central, showing films throughout the day including the Kid Flicks Tour which features audience favorites and award-winning short films from the New York Children’s Film Festival, the nation’s largest film festival for kids and teens. With a compelling range of styles and themes, this collection of clever, thought-provoking films will inspire budding cinephiles (and their parents) to expand their horizons. RIFF Redux presents two, nine-minute films made by a group of local middle school students last fall, overseen by Dave Goldberg and Dave Herman, which feature numerous Ridgefield landmarks—including a starring role played by Ridgefield Library—plus a few cameos by familiar faces. Liyana, the internationally acclaimed South African genre-defying film, screens in the evening. Described by the Sunday Times as, “part documentary, part animation, pure magic,” the film transports you to another world and tells a powerful story of perseverance and hope. Ages 8 and younger. Stuffed animals are invited to sleepover at the library! Come with your favorite stuffed friend to storytime on Friday, tuck them in, and pick them up at story time the next morning. Some backup stuffed animals will be available to sleepover, in case you have trouble saying goodbye. No registration. Ages 8 and younger. Stuffed animals are invited to sleepover at the library! Come with your favorite stuffed friend to story time on Friday, tuck them in, and pick them up at storytime the next morning. Some backup stuffed animals will be available to sleepover, in case you have trouble saying goodbye. No registration. Note: even if you didn't make the program on Friday, you're welcome to come to this storytime! Reading! Art! Friends! Crafts! Readers in grades 4th-6th can pump up their visual literacy skills with our graphic novel book club. This month we're discussing Brave by Svetlana Chmakova. Copies are available for checkout from the children's desk. Registration required. Join us for a showing of "The Secret Life of Pets." Rated PG. Run time: 1 hour 27 minutes. 4:30 PM - 5:15 PM Magnify This! Grades 3rd-5th. Learn how to use a Brock microscope with the Everwonder Children’s Museum, and take a closer look at your fingerprints, animal skins, and more! Registration required. Join families of all types as we celebrate LGBTQIA+ themes of acceptance, love, individuality, difference, family, and belonging. This active storytime led by Ms. Kristina and Mr. Shay welcomes all families to sing, dance, play, socialize, and craft in an inclusive and celebratory space. Recommended for families with children ages 3 and up, but all ages are welcome. No registration.